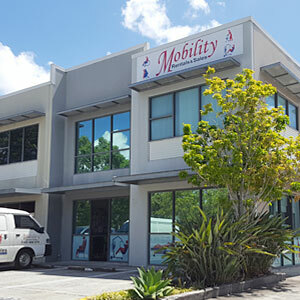 Mobility Rentals and Sales offers a quality selection of hospital beds for sale and hire all covered by a price beat guarantee. 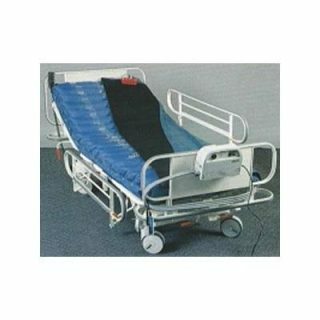 Our showroom is located in Woodridge, Brisbane however we are able to ship our hospital beds Australia wide. 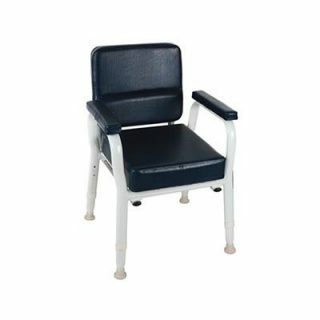 Hospital bed hire is limited to the following: Brisbane North & South areas including, Bayside, Logan, Ipswich, Caboolture & Gold Coast. If you have any questions about our range of hospital beds for sale and hire, please contact our friendly expert staff on 1300 460 070 or visit our Brisbane showroom located at 22/170 North Road, Woodridge. 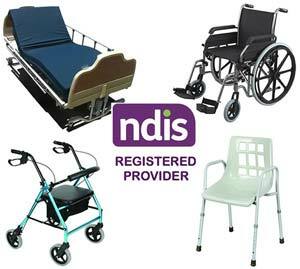 A hospital bed can assist individuals with reduced mobility and health issues. We spend at least a third of our lives in bed it is very important to be as comfortable in bed as possible. A good nights rest is vital for quality of life and general health. For those among us with partial or restricted mobility, the amount of time spent in bed may be greater. This becomes important for ease of movement, comfort, and safety as considerations in selecting a bed. The correct choice should ensure comfort and ease of movement in or out of bed. Well being relies on maintaining adequate rest and healthy sleep patterns with bodily comfort being essential. For mobility restricted individuals, this state of well being will determine the level of self reliance as well as the ability to maintain some measure of independence. 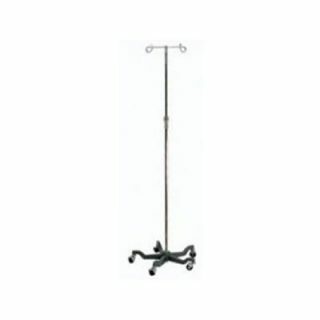 Having determined the need for a hospital bed to assist resolving issues, you may need to decide whether to buy or rent. If the condition is medium to long term, then buying may be the best option. For short term, or restricted budget, then renting the equipment may be a good alternative. Even if you intend to purchase a hospital bed, it’s a often a good idea to rent initially be certain of the need for this equipment prior to purchase. A rental hospital bed can be returned at the end of the rental period if it’s not right for you. Special feature beds for people with health and mobility problems are called adjustable beds. 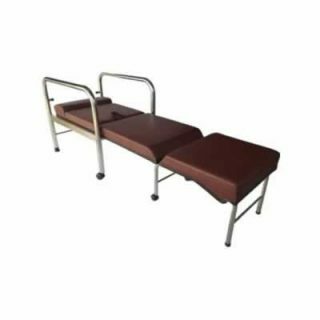 They are also known as variable posture beds and (more commonly) as hospital beds, with two or more sections under the mattress that can hinge to form various profiles. The action of raising and lowering the base sections is known as profiling. 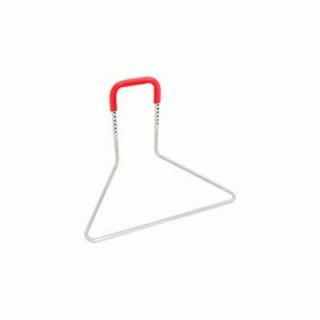 They can be electrically or manually operated, or a mixture of both. 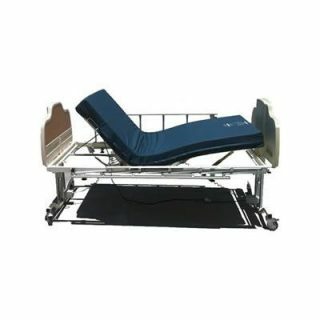 A two function hospital bed should have “Hi – Lo” function which allows the bed to lower down to the floor and raise up to waist height and an elevating back rest raising to an inclined position for sitting up or elevating the head. 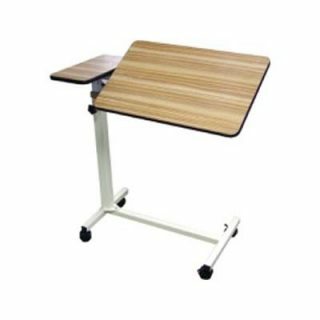 Where the angle of the back rest is enough it can create a problem in that the person will slip down the bed. 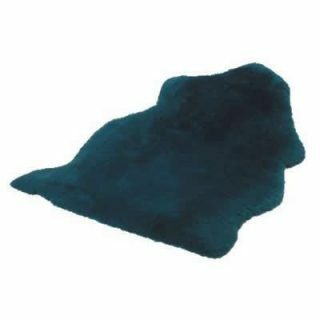 It is often of value to use a device of some sort at the foot of the bed to prevent slippage. A two section bed is more commonly used for shorter term use when mobility is not severely restricted. A three Function hospital bed will have an additional raise/lower knee break which raises the knees and can prevent slipping down in the bed. The leg section may also be raised in some models. 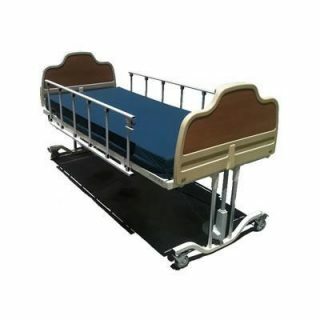 A better option is the four section hospital bed, where the persons’ bottom is supported by its own section while the knee break is raised, providing the most stable position for the user. An electric hospital bed will have a hand held controller and, although driven by several motors, are usually very quiet to silent in operation. 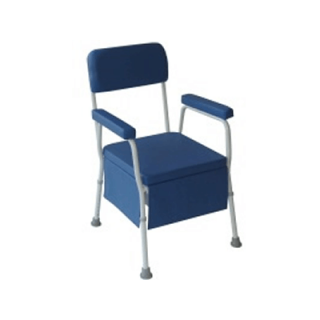 They can be operated solely by the carer where this is necessary for the person’s safety, or where user independence is important, by the person in the bed. 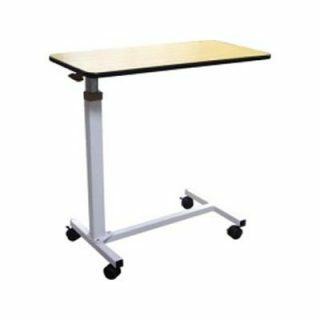 It is especially useful to be able to alter the bed height to make it easier getting on or off the hospital bed where leg/arm strength is an issue. The hand held control unit is light and as easy to use as pushing a button. A manually operated hospital bed is usually controlled by gas assisted foot pedals, or a winding or ratchet system. 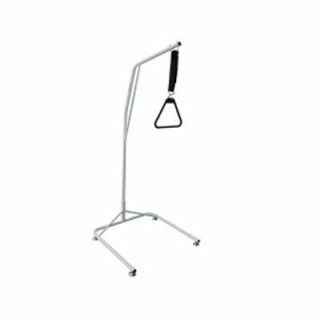 Many of these mechanisms are hard to use, jerky and uneven in use, and require effort and bending on the part of the carer. 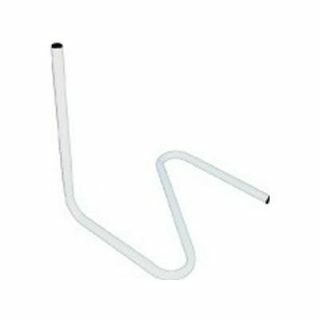 They are rarely suitable for adjustment by the bed user. 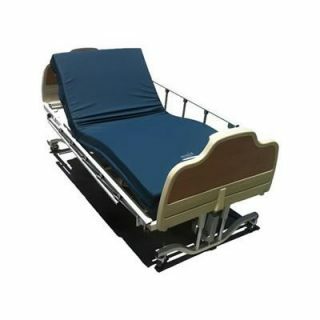 Manual hospital beds are less common and are usually an old style of hospital bed. Hospital bed mattresses are usually foam or latex, and in the case of foam, should have a section division for greater user comfort. 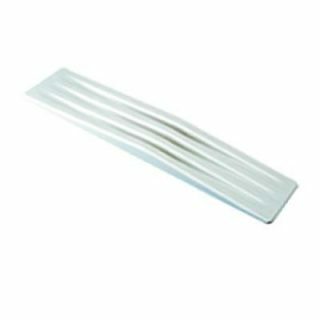 Specially manufactured sprung wire mattresses may also be used, but these need to be researched to ensure they will be suitable for the type of profiles that may be employed. 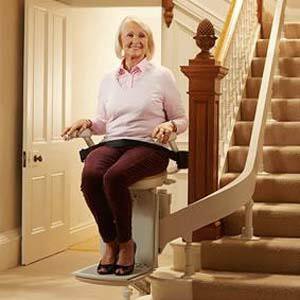 When the backrest is semi-reclined, pulling on a lifting pole (gooseneck) the user may be enabled to roll onto one side or the other independently to relieve buttock pressure. 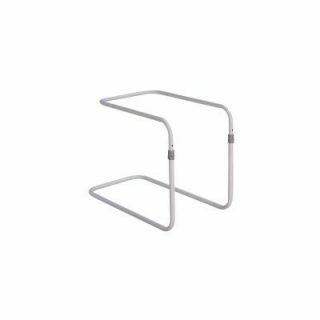 A lifting pole will also allow the user to take up some of their weight and assist them to manoeuvre to the bed edge making it easier to stand. Where continuous long term hospital bed occupancy is necessary the prevention and treatment of bedsores (pressure ulcers) is critical. 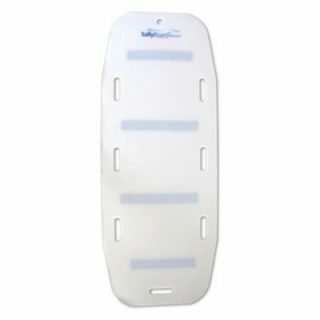 To this end a pressure mattress or overlay may be used in conjunction with or as an alternative to a standard mattress. 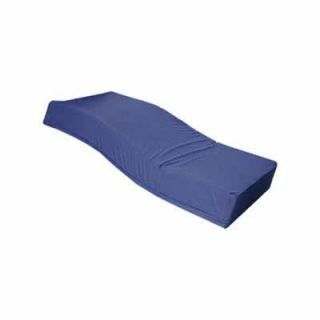 The user can be repositioned by changing the bed profile which can affect weight distribution, thereby helping prevent the forming of pressure sores. Variation in bed height is also a function in most hospital beds. 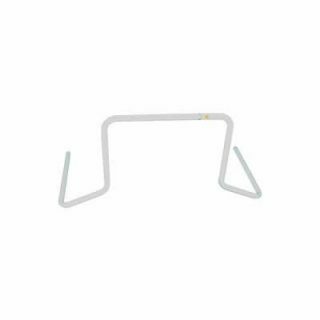 Other than making getting into and out of bed easier, it is also of value for safety reasons where the bed can be lowered to its minimum height for the user in danger of falling out of bed. Some beds can be lowered to as little as 25cm (approx. 9″) off the floor. Carers can raise hospital beds without needing to stoop and bend when assisting people to turn, or to make up the bed or adjust bedding. 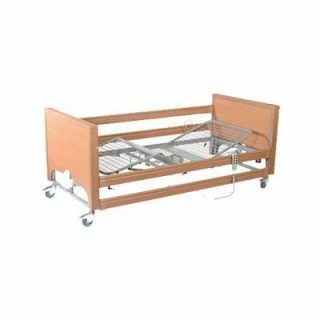 The hospital bed position in the room is important to consider as there should be no wall mounted obstruction preventing vertical movement of the bed or allowing anything be trapped underneath the bed when lowered as few adjustable height beds have an automatic stop facility. 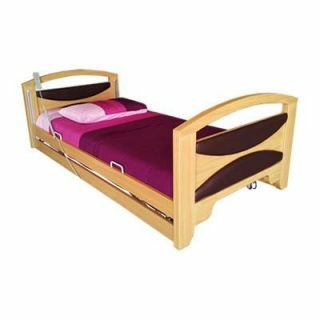 We suggest great caution buying beds from furniture retailers as the types of beds they range are rarely suitable for therapeutic purposes and are generally not compatible with use of patient hoists and other mobility aids where transfer aids need to be used to assist the user in and out of bed. Additionally these types of beds may have novelty options such as a massage feature that seem like a good idea but are a less important feature when you discover the bed is unsuitable for its intended and or extended use. 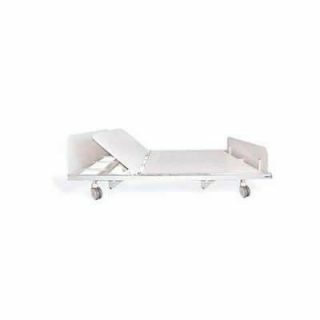 Many people that require the purchase of a hospital bed will have ongoing assisted care needs and potentially declining health, so it is wise to consider the this when purchasing a hospital bed. 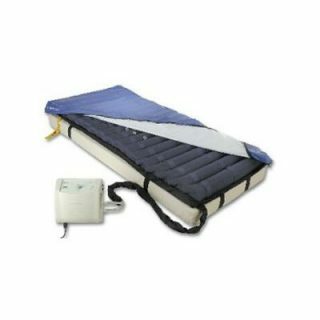 As an individuals health declines, the types of assisted equipment and aids required to assisted the bed user will need to be compatible for use with and around the hospital bed that you buy.